Panasonic Video Insight is an advanced enterprise-class Video Management System, integrating powerful VMS features, hardware optimisation and cost efficiency in one robust system. 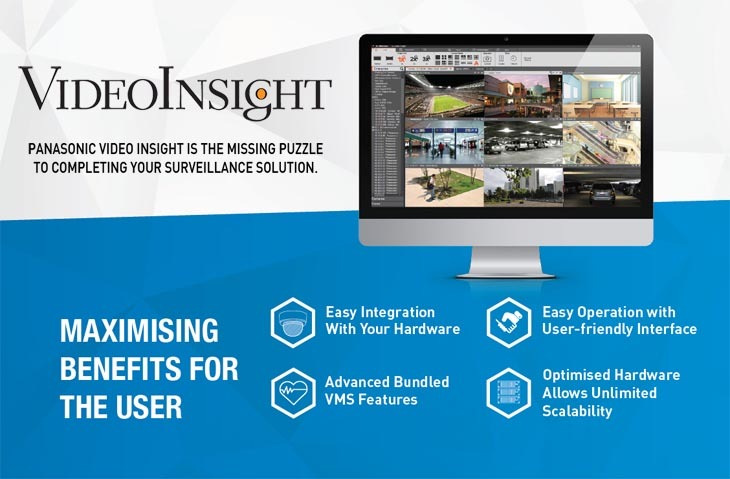 Video Insight captures, manages and stores video surveillance across a network – on a single or multiple locations – and supports the broadest range of IP and analog camera models. 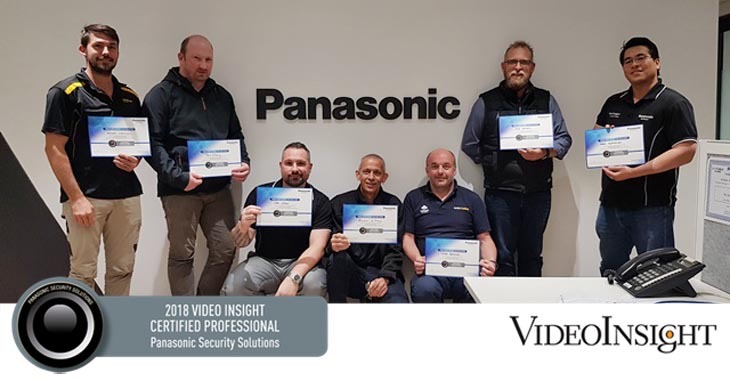 Panasonic Australia rolled out the first Video Insight Certified Professional (VICP) training for system integrators and end users on 17th July in Brisbane, followed by Melbourne on 23rd July, and Sydney on 14th August. Still to come will be training sessions in Adelaide on 11th September and in Perth on 25th September. The objective of the Video Insight Certified Professional (VICP) program is to familiarise integrators with the features of our Video Insight video management system as well as to train them to install and administer the software at client sites. The training was very well received and the integrators were kept engaged throughout the whole session, having to go through an assessment at the conclusion of the training in which they had to achieve a minimum score of 75% in order to pass. What’s next? An Advanced Video Insight Professional Training (AVICP) course, which will cover more complex topics, is planned for introduction later in 2018. Video Insight provides the most comprehensive and cost effective video management software for centralised and de-centralised environments. Harnessing the capabilities of pure 64-bit system, Video Insight optimises your hardware to allow endless scalability, unlimited client workstations, simple integration with legacy systems, centralised administration, standby server and more.